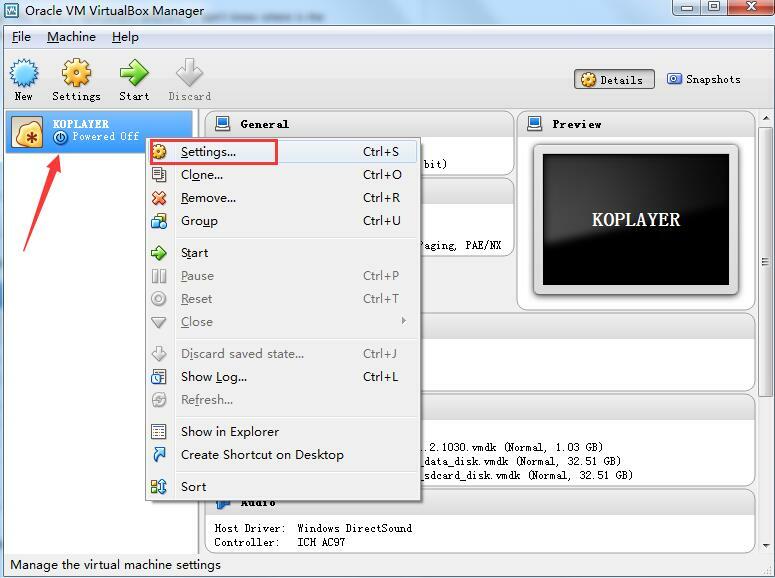 KOPLAYER Forum » KOPLAYER -- Android Emulator on PC (Windows/Mac) » Q&A » KOPLAYER Tutorials » How to Change KOPLAYER from Dual-core to Quad-core? How to Change KOPLAYER from Dual-core to Quad-core? 3. Make sure CPU is dual-core or quad-core. First, find a file named “vbox”. This file is in KOPLAYER’s directory. If don’t know where is the directory, you can right click the icon on desktop and select properties to see. Second, find a console named “VirtualBox.exe” in vbox file and open it. Third, right click KOPLAYER and choose setting after open this console. 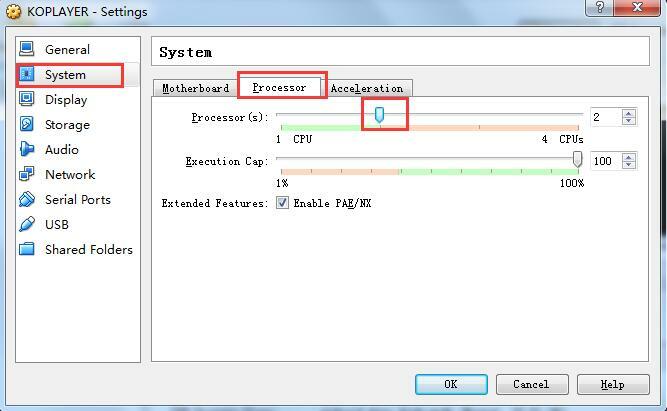 Finally, come to setting and select System- Processor and change to number of Processor to 2. And then click “OK” to save it.